Roll-up, Roll-up - read all about it ..
It’s nearly holiday time and my mind’s already drifted off to a beach, a rich rum cocktail – not too much ice, thank you – a pile of books, some factor 30, sun, sea and sand. I can dare to dream of relaxing again now that my boys are young adults. When they were babies, then toddlers, then primary school age, my husband and I had this awful dawning that we wouldn’t have a lazy holiday again just sunbathing, reading, sipping a sunlounger ­cocktail or two, until our kids were at least 12. Until then, holidays are just like everyday life, only in a different country and with the added worry that the kids may drown or suffer acute sunburn, or that you may not get a chance to read one chapter, never mind finish the book. You sort of resent it. And then feel guilty. Now, though, I can imagine myself lying on a lounger reading ALL day and know it’s not just a pipe dream (what IS a pipe dream, BTW?). I can wander off to the bar without anyone in tow if I want to. Damn, I can neck a bottle of tequila if the spirit takes me. The point is, these days a holiday IS a holiday; a series of blissful sunny days rolling into each other with nothing to do at all if I choose. No deadlines, no appointments, no trying to read a book while ­simultaneously keeping an eye on tiny children, answering to their “look at me, mum” every 10 seconds, or having to meet regular mealtimes and bedtimes and bath times, and trying to ensure they behave in cafes and restaurants. And now that’s all behind me. Childhood is fleeting. You only have the little people you love most in the world – while they still love you most in the world – for such a short time. She left five-year-old Rose at a supervised play area at their hotel in Turkey while she took her other daughter scuba diving. When she returned an hour later there was no sign of Rose. Janet thought her daughter was dead or faced being abused. But, knowing Kate and Gerry McCann and the deep hurt and heartache they carry around with them everyday, I’d forgo all of the adult holiday pleasures all over again to make sure our kids were safe. It’s surely worth forgoing the odd ­cocktail, a proper swim or an ­unputdownable novel, to make sure your story doesn’t become the one everyone else is reading as they lie on their sunloungers. Don't know whether to laugh or cry - do people actually take this woman seriously? Hi Verdi,ref; the Fiona Philips article. This is to"Paraphrase" neglect,the UK Police have deliberately strung Operation Grange out for as long as possible to obfuscate any deliberations? The reason I state this as the Operation Grange is stuck in a "Freeze State" as they do not know which way Portugal will deliberate,that is why the UK Police haven't shelved the case,because they cannot have "Final Jurisdiction" into the Portugal case? 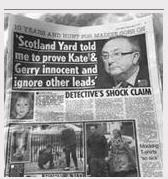 If the UK Police shelved their case and Portugal carried on proceeding the case,the UK Scotland Yard would be outside of the Loop,they have protected since Madeleine McCann was pronounced as missing since 3 May 2007 by her parents,Kate,Gerry McCann? It's all their in the"Official Gold Group" collaboration,they have colluded the case right from the start,so that is at least One reason Portugal PJ must protect themselves after being bitten by them the first time, Birmingham FSS,forensics contamination,deliberate? The McCann's protectionist clan may have"Snookered" themselves in this case,hence the revival of "Neglect" by Fiona Philips article, get out of jail,Community chest moment? BTW,Thomas Cook now Own the Mark Warner,Ocean Club Complex apartments,so they do have a now very opulent need to protect them selves or their"share holders" from any potential claims of "Neglect" from Eleven Years ago! If you do not think this is how the UK Government behave, I'd suggest to every living sole within the UK to look take One very serious look at the Unsolved Murder of Daniel Morgan and the Machinations to one Rupert Murdoch,esq! It has been a further Six years of waiting for the"Morgan Family" since Prime Minister Theresa May promised full revelations of what happened to Daniel Morgan? In this time period Daniel's Mother has lost her life and hopefully they are together once again,but the Politicians still prevaricate to subdue the case! 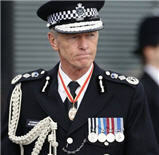 Now the same UK Metropolitan Police Force who fucked up the investigation and has cost over One Billion Pounds in collapsed Crown Court cases is now obfuscating its decisions to process the case for another 18 Months!? 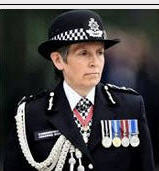 The unsolved Daniel Morgan case has had more investigations by Police Officers who couldn't find his killers and must surly have been to the IPCC to have been deliberated,with all"Metropolitan Police Officers" exonerated you understand,they were just Not doing their Jobs proficiently? The UK Public can now clearly see the"state,UK Police" is using the "Establishment,Goverment" to "Pervert the State of Justice" by the same "State to investigate in the first Place,eg it's a state of corruption by the"Establishment",Bent,Corrupt!! What a sad twisted corrupt bunch of *unts" that are Governing the UK as a Police state,George Orwell 1984,how correct he was. Isn't Fiona Philips an Ambassador for Missing People? And this is Fiona Phillips, the woman who advertises the Postcode Lottery that links to Kate McCanns' charity, Missing People. Its like Rebekah Brooks says, "Were all in this together" but in what Rebekah? 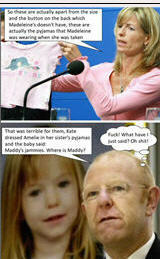 @NickE wrote: Isn't Fiona Philips an Ambassador for Missing People? Hi Sharon,what about the NSPCC,seems to have an awful lot of people working for them? Esther Rantzen doesn't come out exactly smelling of Roses over her "Knowledge", that were now innuendo,malicious gossip of likeable colleagues at the BBC,"Hows about that then"? 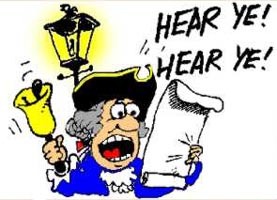 In April 2018,a certain well known family pop singer launched "Defamation" against the BBC,thought to deliberate Ten Days, Now nearly in July and still No Verdict,can you guess the connection? 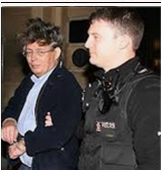 The Alexis Jay IICSA inquiry has let"One big Man Suspect" to have evaded justice again,Knowle House view,which he often visited? They are all trying to keep it from being exposed,like they have "Done" for the past fifty-sixty years!